1).Dimensions (L x W x H): 6.8 x 1.7 x 3.5 inches; roomy enough to hold 6 inch phones like iphone X. 2).With a portable handle, you can hold it on hand securely and carry it around easily. 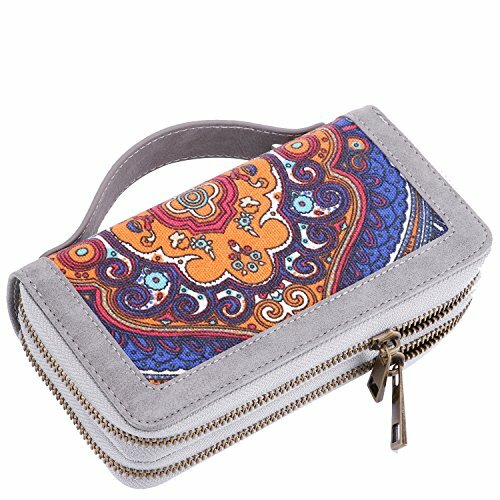 3).Zippered coin pocket, easy to organize coins and change, avoid them falling out. 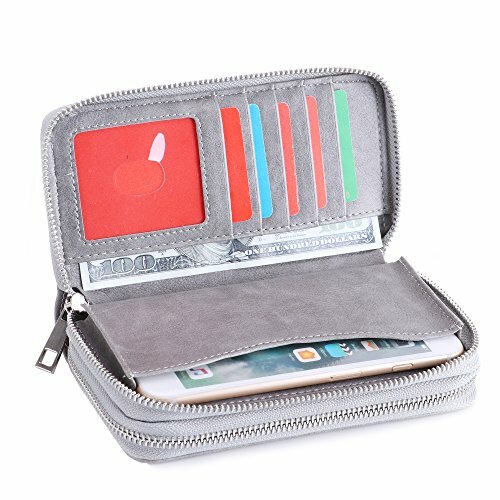 4).Function pockets: 5 card slots(including 1 clear ID windows), 2 full-length bill compartments,1 zippered coin pocket,1cellphone slot; keep your credit cards, cash, coins, notes, receipts, cheekbook and your cell phone well organized. 5).SATISFACTION GUARANTEED - We stand behind our products and offer a 45-day money back guarantee! If you are not 100% SATISFIED, simply contact us to return the product for a refund or a replacement. 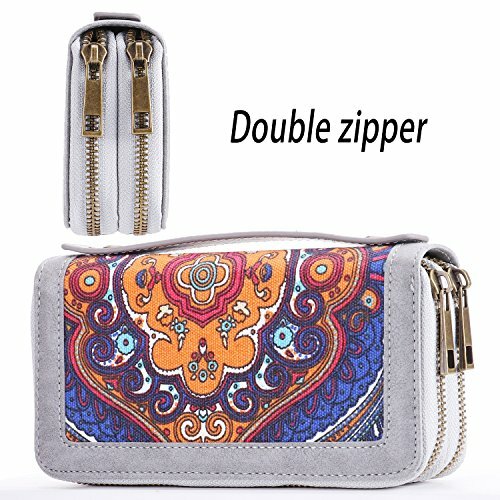 LOEL Women Multifunctional Zip Around Travel Wallet Clutch Bag Credit Card Holder Purse Cell Phone Case for 5.5 inch Phone like iphone 7 Plus / 7, iPhone 6 Plus/ 6s/ 6, iPhone 5s/ 5c/ 5 and Other 5.5 inch Android Mobile Phones. MATERIEL: High quality vegan leather, soft and durable. 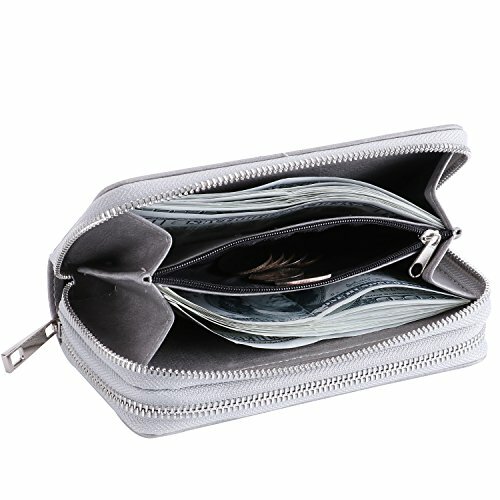 Function pockets: 5 card slots(including 1 clear ID windows), 2 full-length bill compartments,1 zippered coin pocket and 1 cellphone slots; keep your credit cards, cash, coins, notes, receipts, cheekbook and your cell phone well organized. 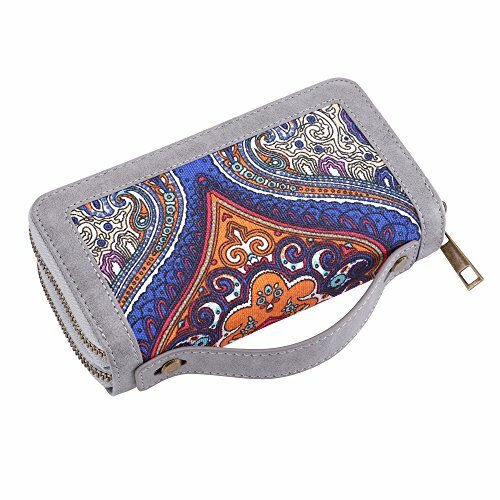 APPLICATION: Carried as a clutch, suitable for many occasions such as parties, shopping, and office. 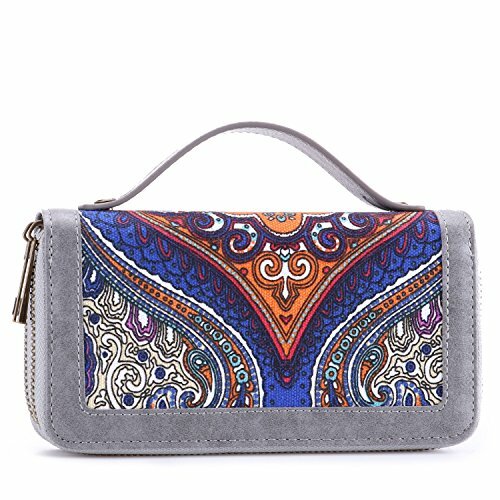 It can be also an ideal gift for her on Birthday, Anniversary, Mothers' Day, Thanksgiving, Christmas, New Year and all other holidays! Customer satisfaction is our top priority. do not hesitate to contact us if this item does not meet your expectations. Please give us a chance we will do our best to make things right for you.